Looks like a beautiful tray of gems right? Well it's not. It's actually chocolate! While I was at the Lucky Magazine FABB conference we were all treated to these tasty little chocolates and then were given a box to take home. 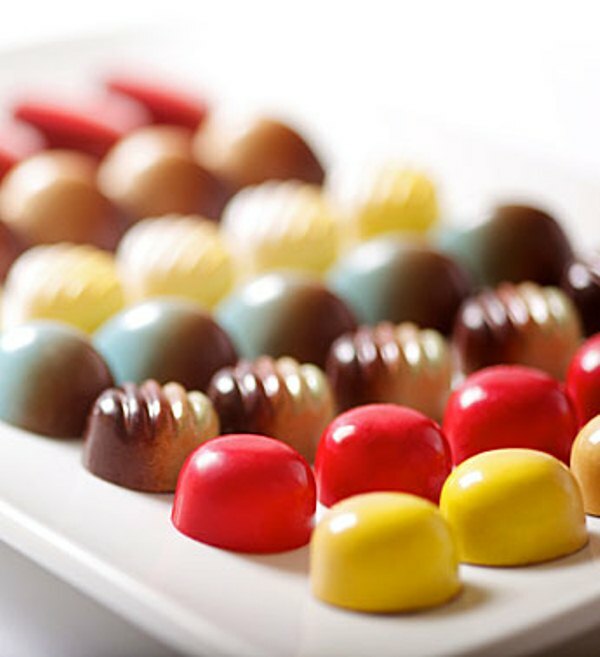 These edible gems are the FM Artisan Collection by Norman Love which come in 12 different flavors. Seriously they taste just as good as they look. Actually the only birthday cake I had on my birthday this year was the FM Artisan Birthday Cake chocolate. All it needed was a candle and it would have been perfect. Other flavors stretch from Chocolate Dipped Strawberry, Bourbon Vanilla, and Candy Apple to Peanut Butter Fudge. In honor of the official launch of the collection FM Artisan is offer a special promotional code for my readers! From now untll October 22, make a purchase on their site (HERE) and use promo code 18457 to save 25% off! 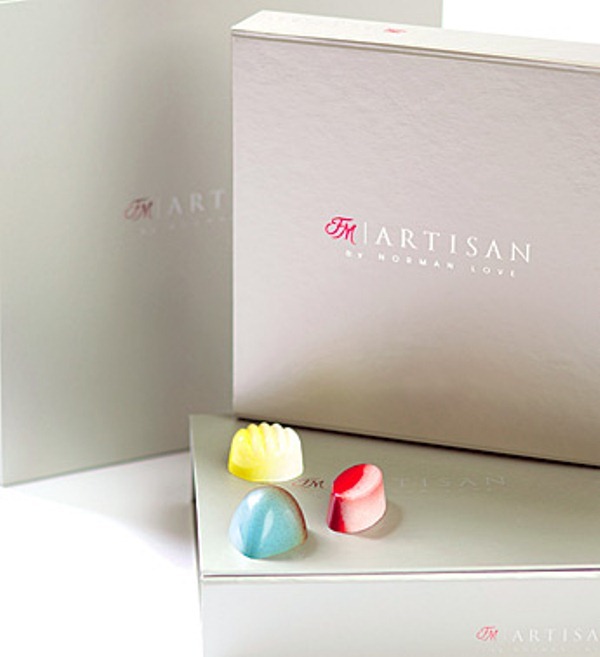 ALSO-in honor of FM Artisan by Norman Love's offical launch their giving away one 12 piece box to one of my readers!! Read on! -Check out the FM Artisan by Norman Love collection HERE and tell me what flavor you would love to try! There is always room for a little extra credit, right? So here are your bonus entries. Please leave a comment for each one! I am following beijosTiffany on GFC and Bloglovin! I would love to try the double shot espresso. mmmm....sounds yummy!!! I am following beijosTiffany on twitter and i tweeted about the giveaway! I like Fannie Mae on FB. I follow beijosTiffany on FB. I follow you on Twitter and tweeted about the contest!